Discover how finance can emerge from cost center to growth driver. The finance team is uniquely equipped to enable sales to effectively identify and engage with their best customers and prospects. 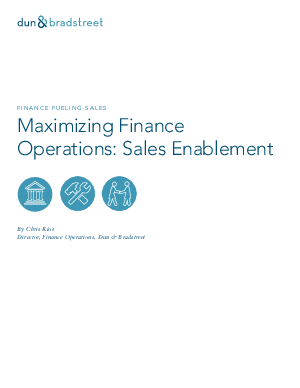 Download this whitepaper today to learn how finance and sales can partner to drive growth and improve efficiency!